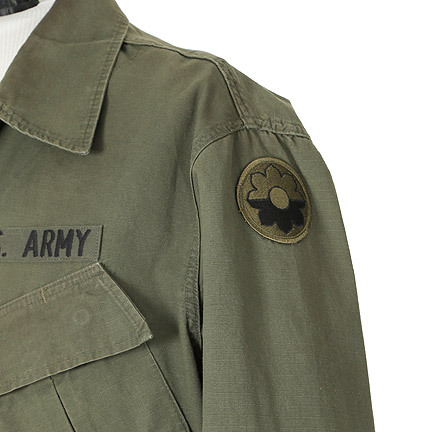 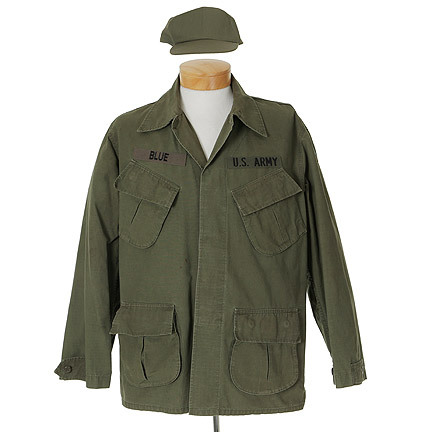 This green Army issue fatigue jacket and matching hat were worn by the character "Benjamin Buford Blue," portrayed by actor Mykelti Williamson, in the 1994 motion picture, "Forrest Gump." 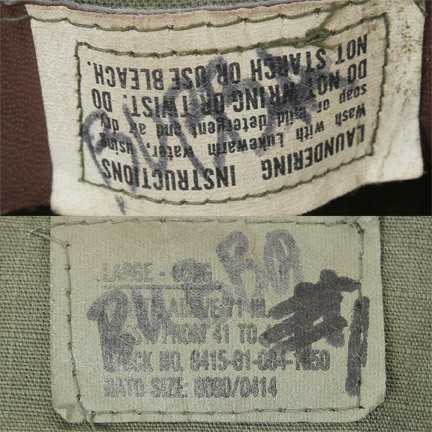 The military issue hat and jacket have the character name "BUBBA" handwritten in their interiors labels. 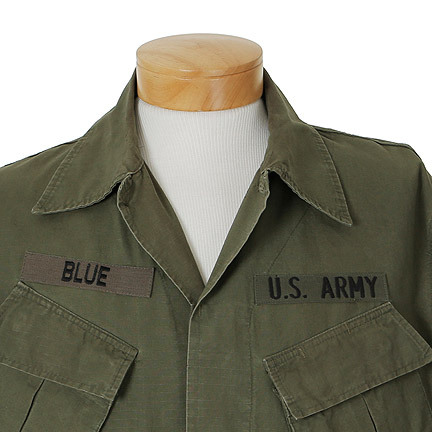 As is a common industry practice, the original nametags and patches seen in the film were removed on their return to the costume wardrobe rental house. 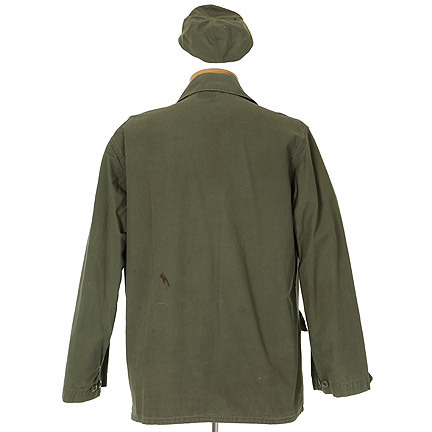 Mr. Williamson wore the jacket and hat in several scenes of the film. 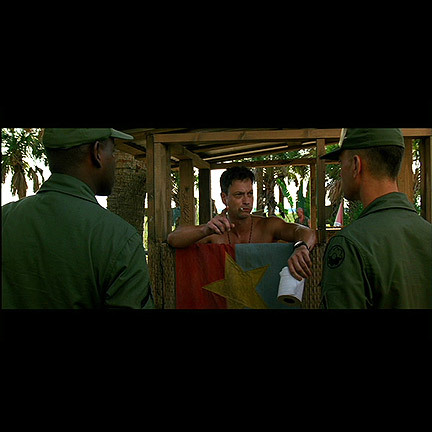 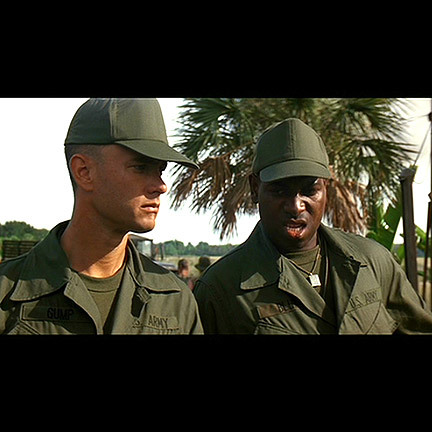 When Forrest (Tom Hanks) enters the U.S. Army the two characters develop a deep friendship over the course of their training and eventual deployment in Vietnam. 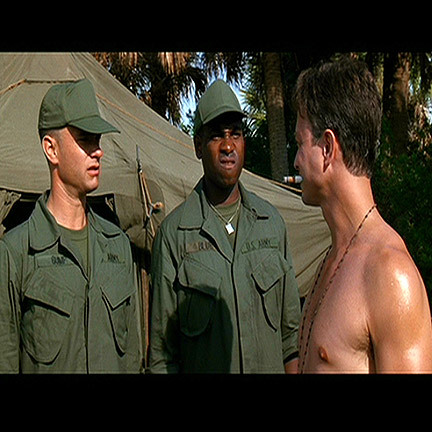 They make future plans to go into the shrimp boat business together before Bubba dies in action during a pivotal scene of the film. 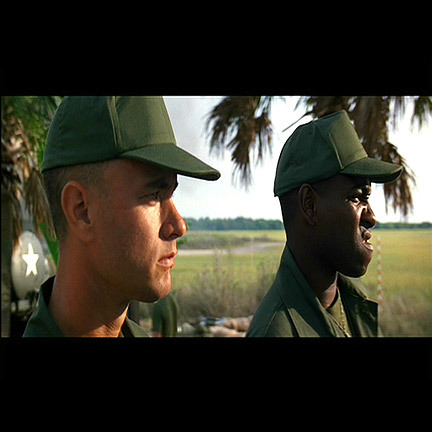 Tom Hanks won an Academy Award for Best Actor in 1994 for his performance in the film, and "Forrest Gump" won additional Academy Awards for Best Picture, Best Director, Best Effect, Best Visual Effects, Best Film Editing, Best Writing, and Best Screenplay Based on Material from Another Medium. 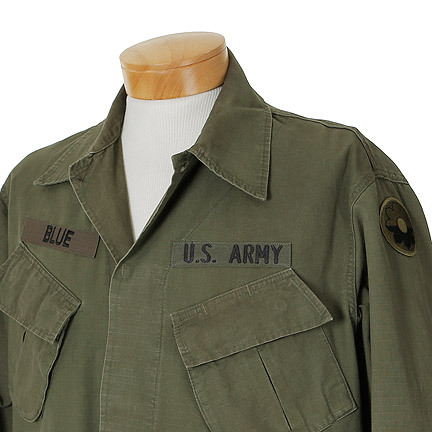 Both items are in very good screen worn condition and are accompanied by a letter of authenticity from the costume house. 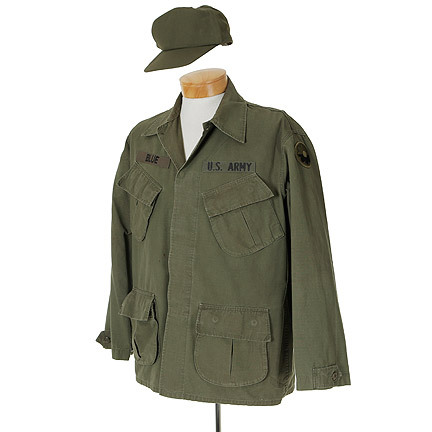 Presented by The Golden Closet, your premier source for screen used wardrobe, props, and music entertainment memorabilia.